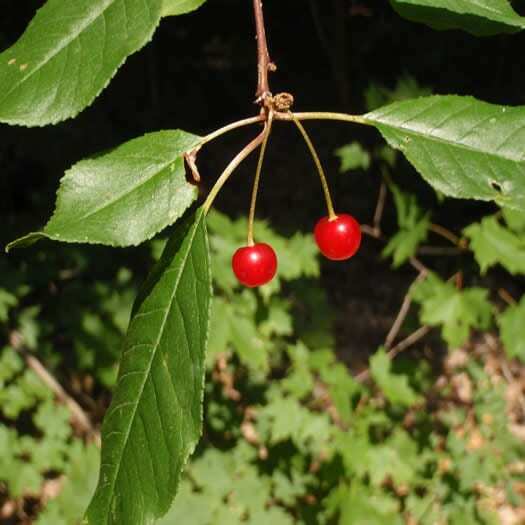 Pin Cherry is a large shrub or small tree, that should be grown in the sun. The white flowers are about 1/2 inch in diameter. The fall foliage color is a combination of yellow and red. The fruits turn red in July and August. The tree usually does well on all but poorly drained or shaded sites.